Project! 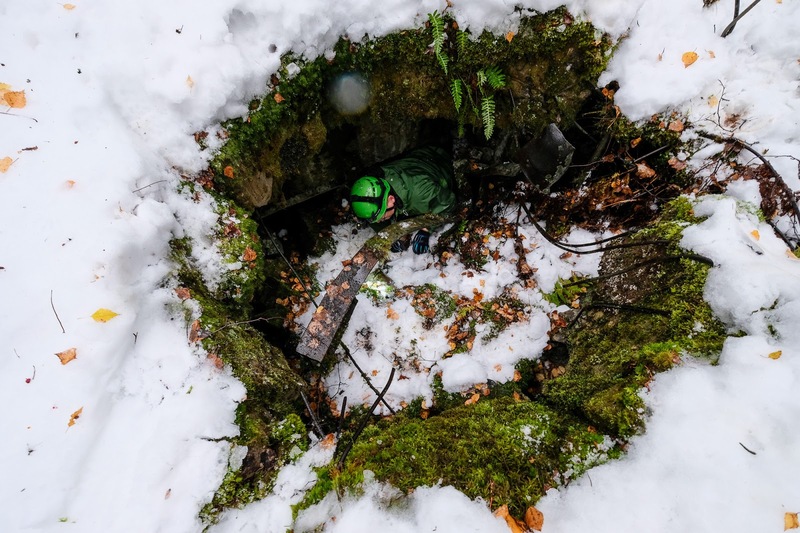 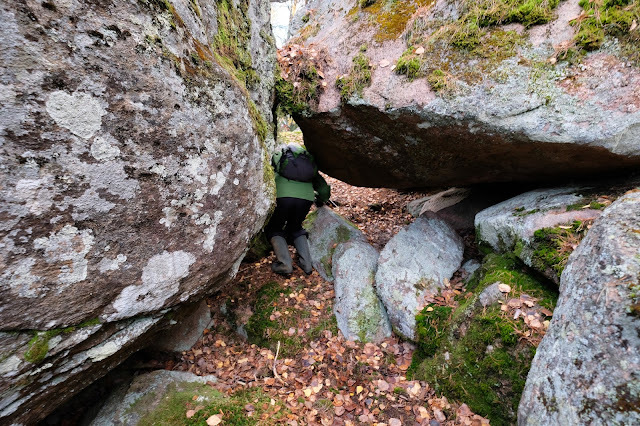 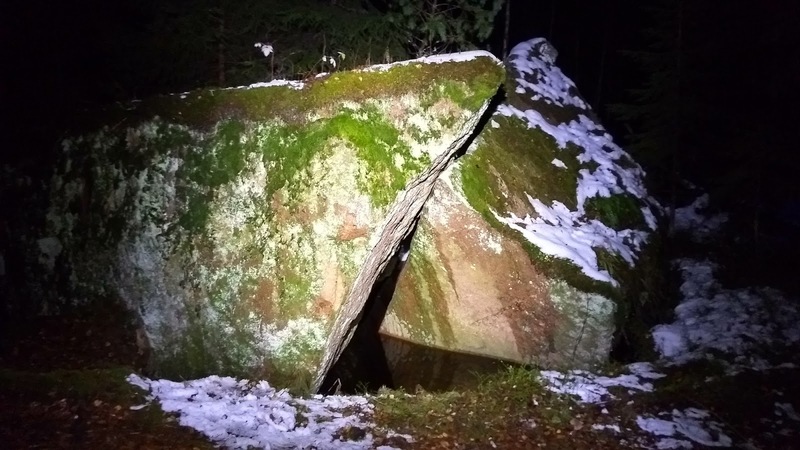 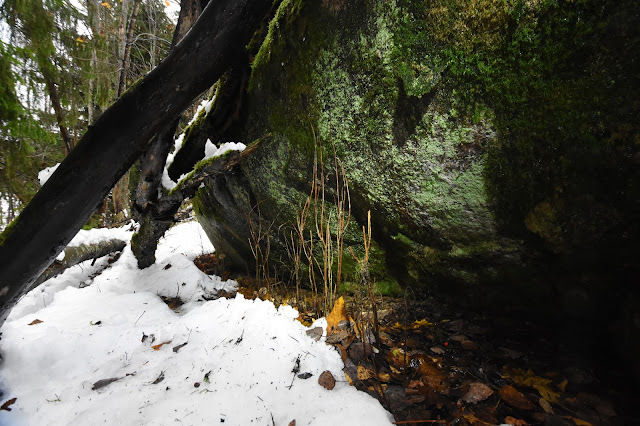 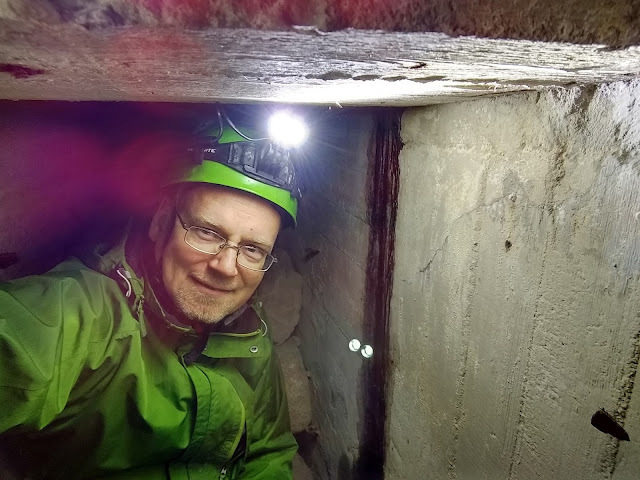 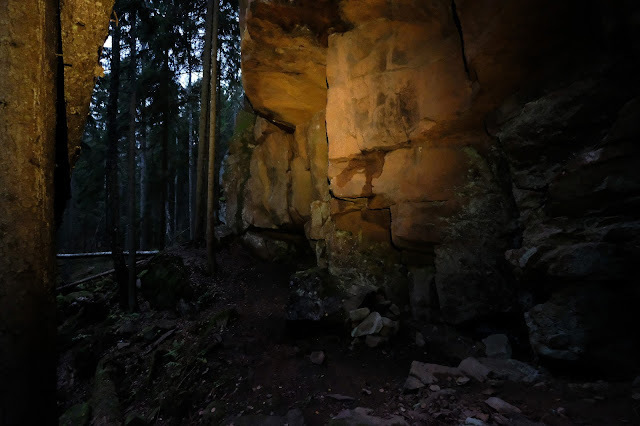 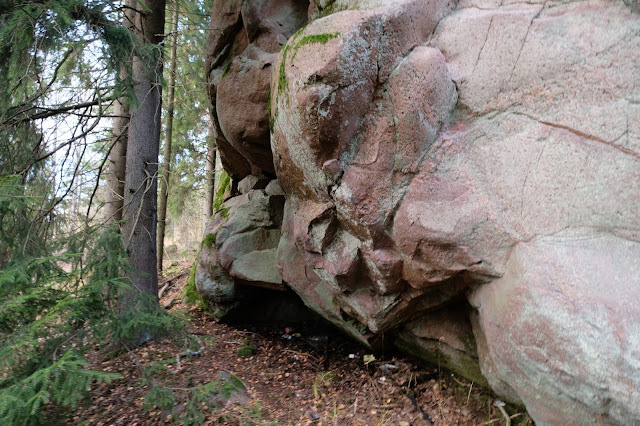 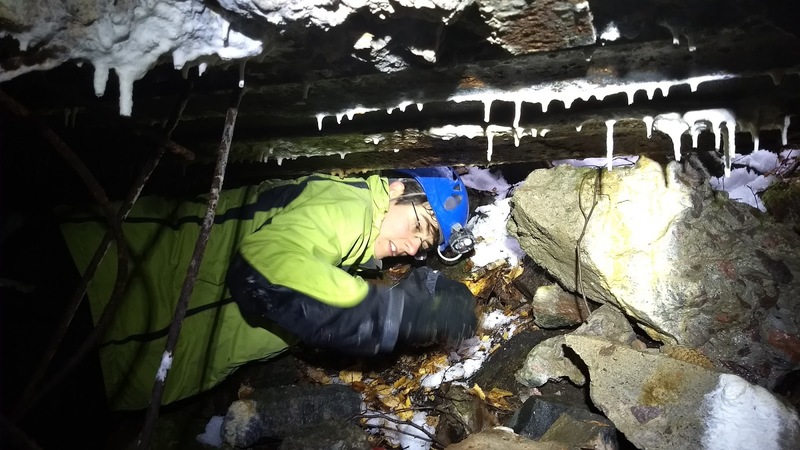 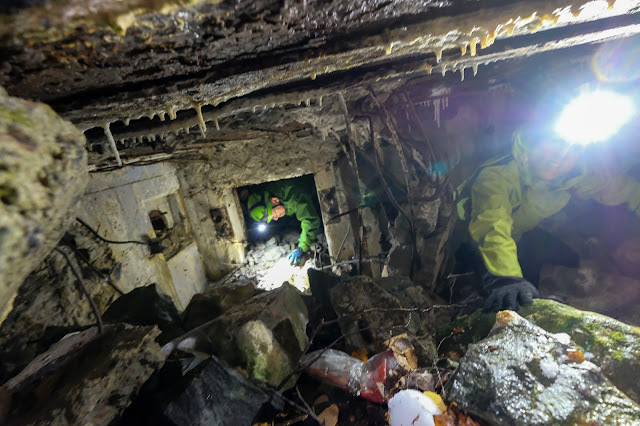 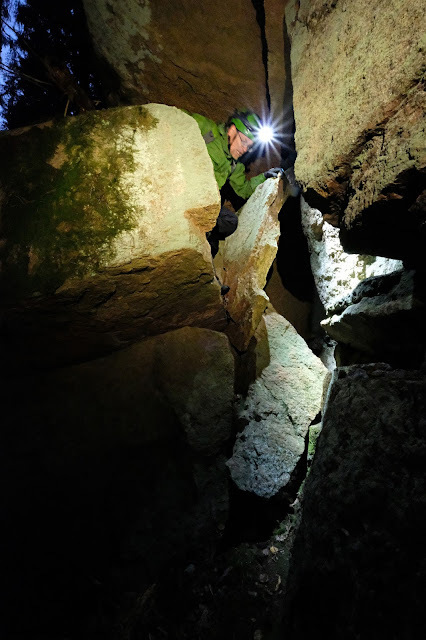 Having done the survey work last year for Korkberget, the massive cave (in Finnish class, at least), this fall I've been trying to visit other underground places in Kirkkonummi. 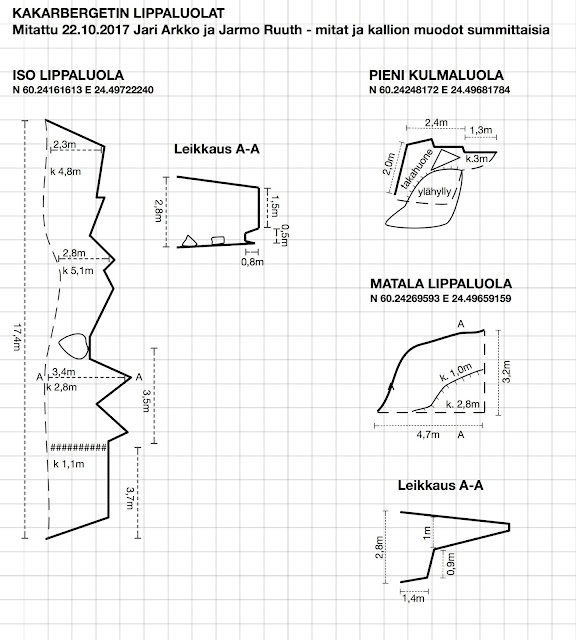 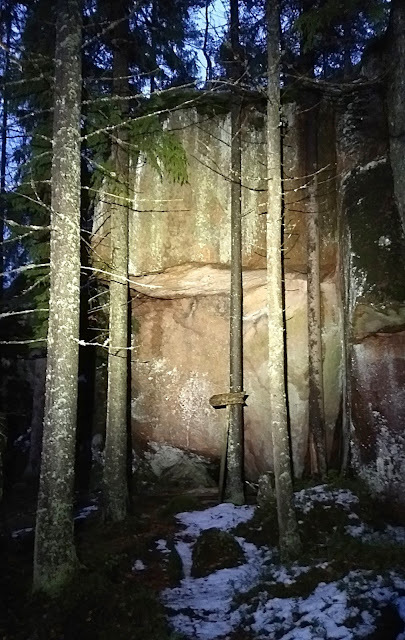 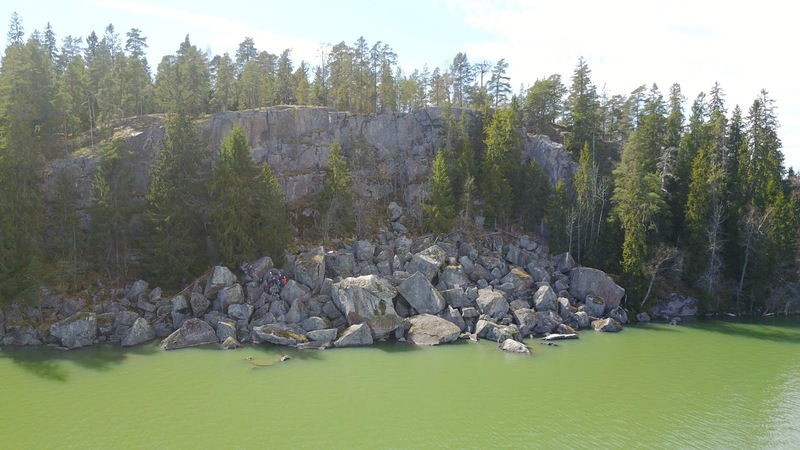 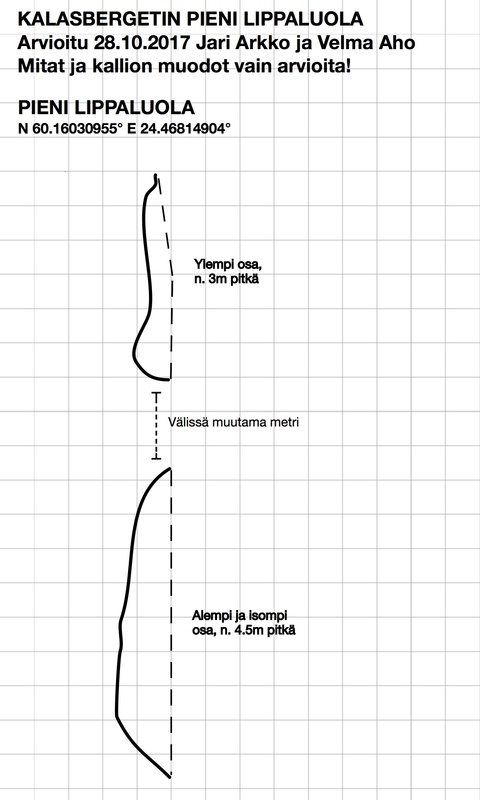 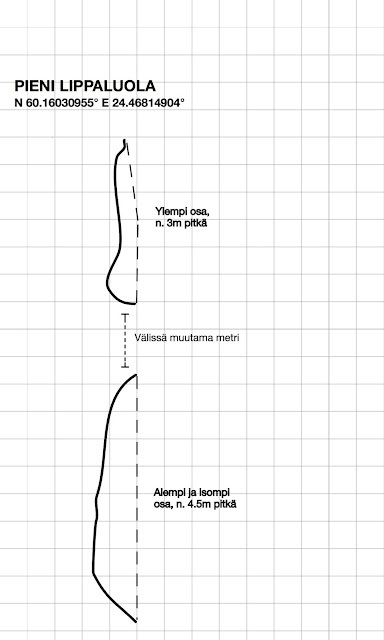 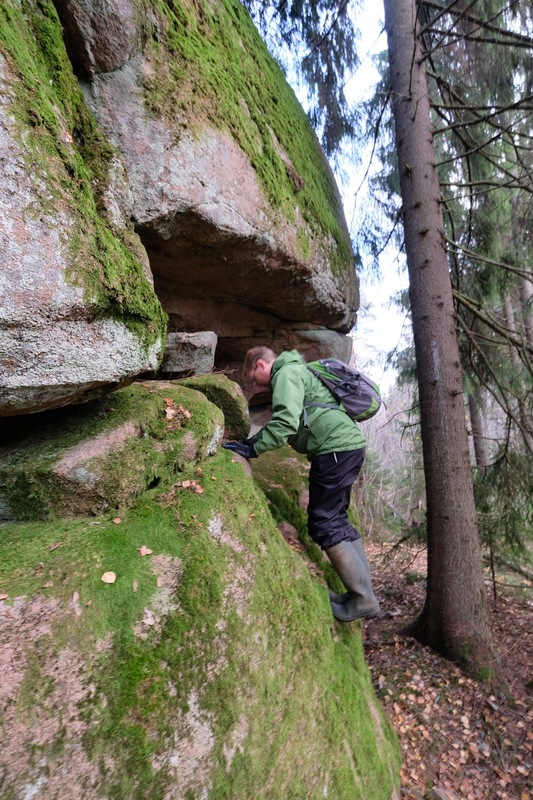 And I have now visited and surveyed all nine known/reachable caves in Kirkkonummi. There's three more but they are either on military area, their location is not known, or they have collapsed. 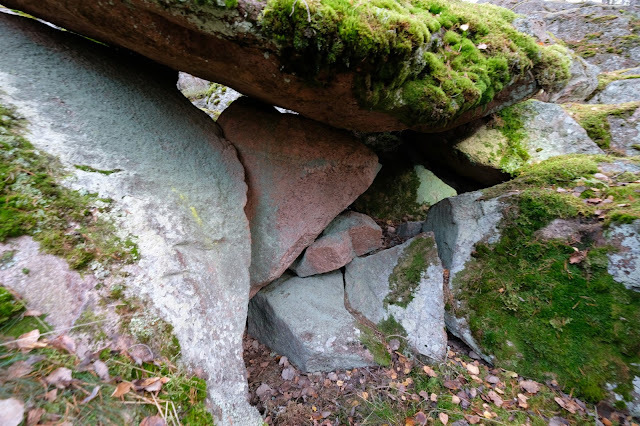 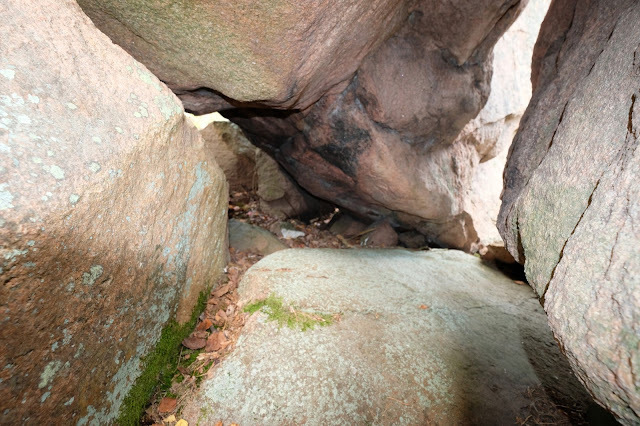 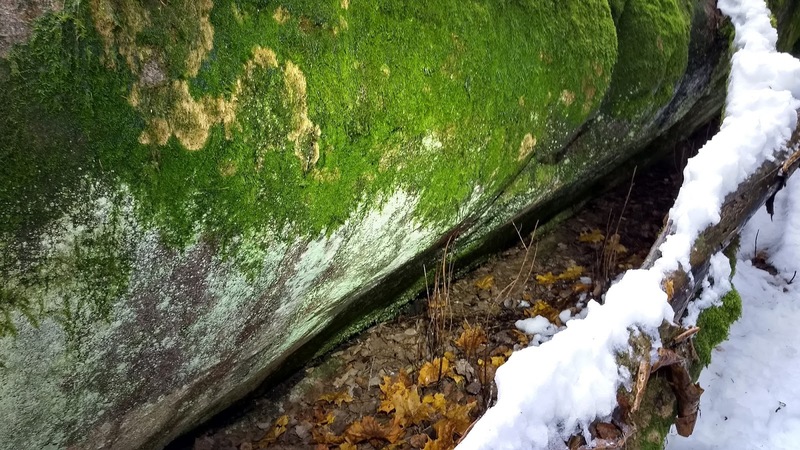 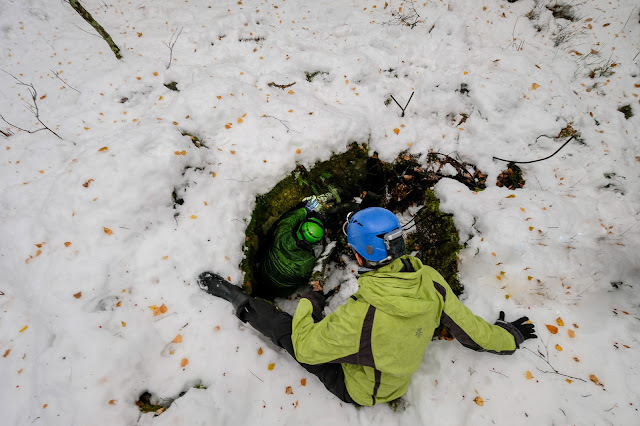 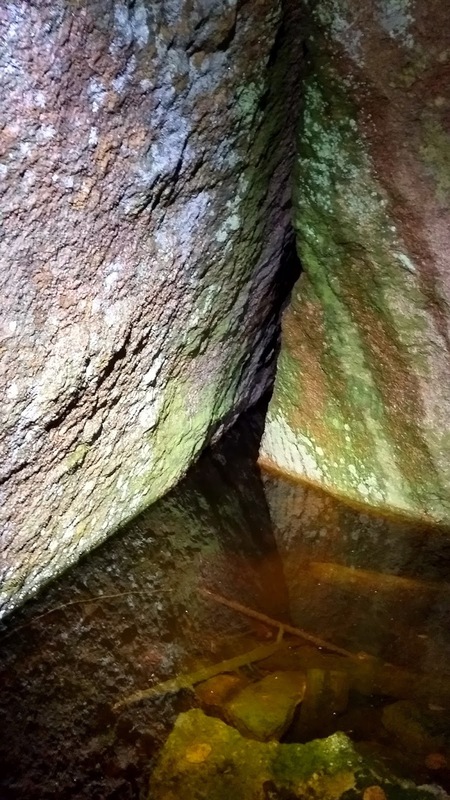 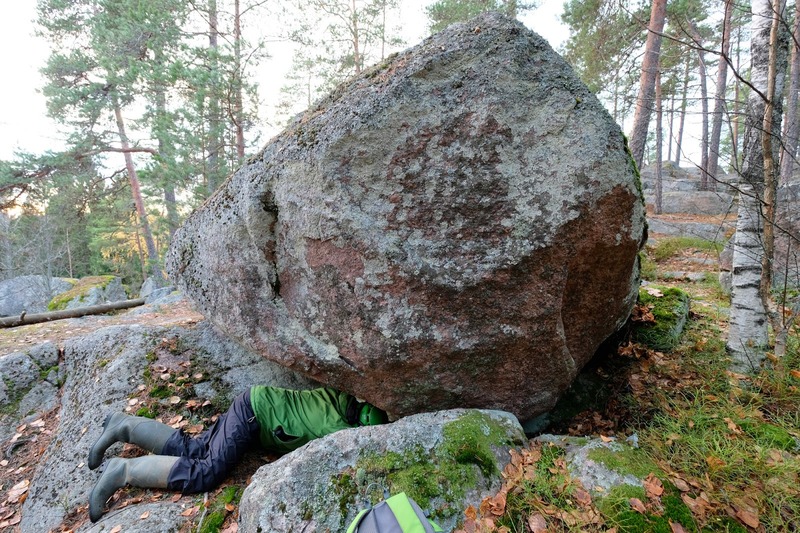 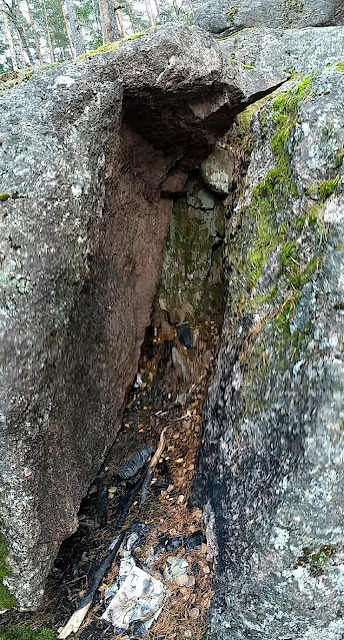 Also, there's a bit more work on documenting all side caves at Korkberget and Högberget. 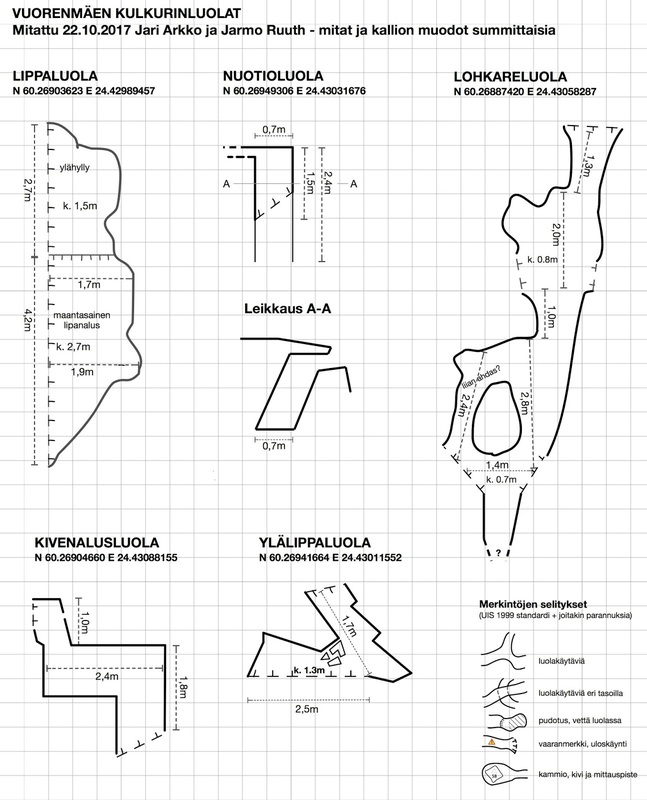 Photos and maps (c) 2016-2017 by Jari Arkko, Janne Arkko, and Jarmo Ruuth. All rights reserved. 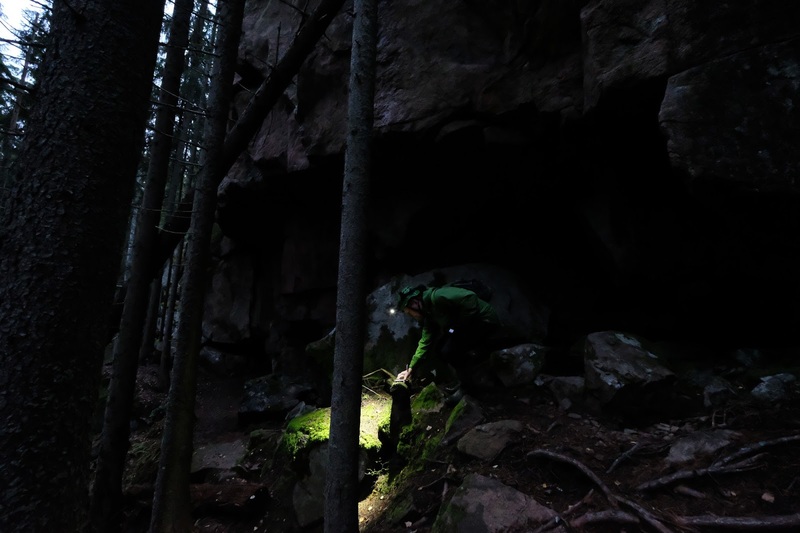 This blog article is also available on the TGR site. And all skiing, caving, urban exploration, sauna, and other articles are available from the Planetskier.net site. 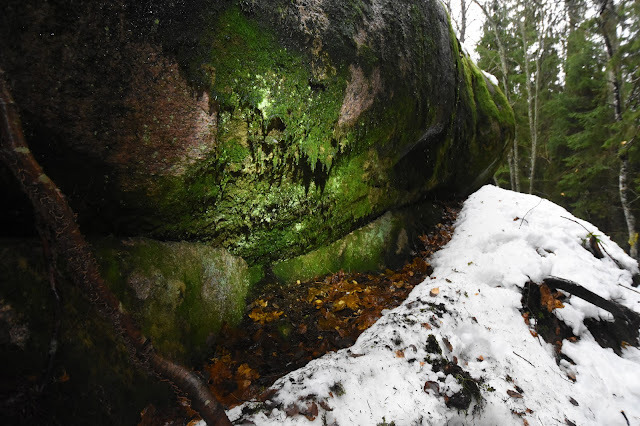 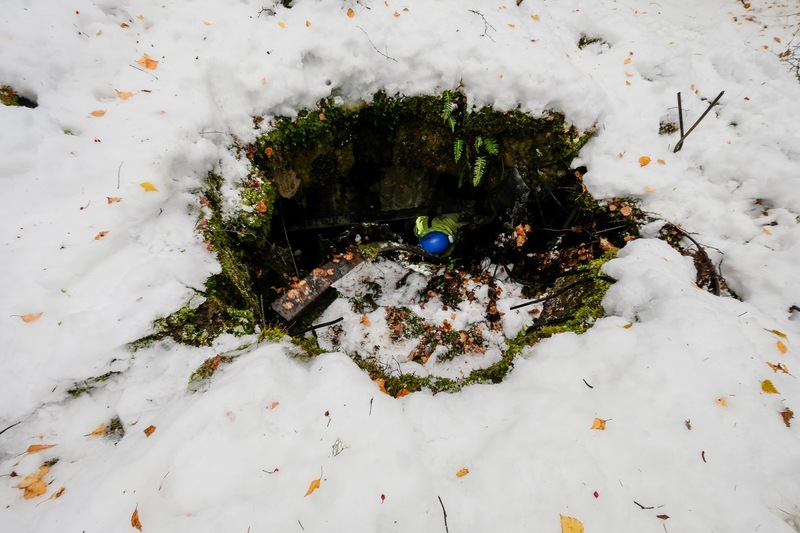 The bunker at Sonnimäki was a second one, we had looked at an almost intact one earlier. But today's bunker was blown up and filled with rocks. However, there seemed to be a small hole to squeeze in through, which we did. Turned out that you could still move around in the bunker, visit the other rooms and the main entrance tunnel, even if its end was filled. 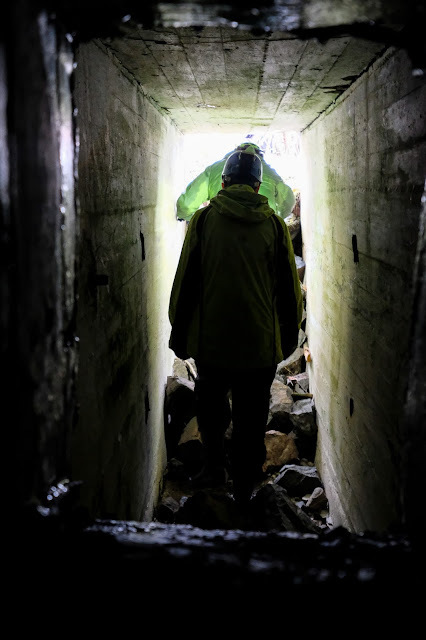 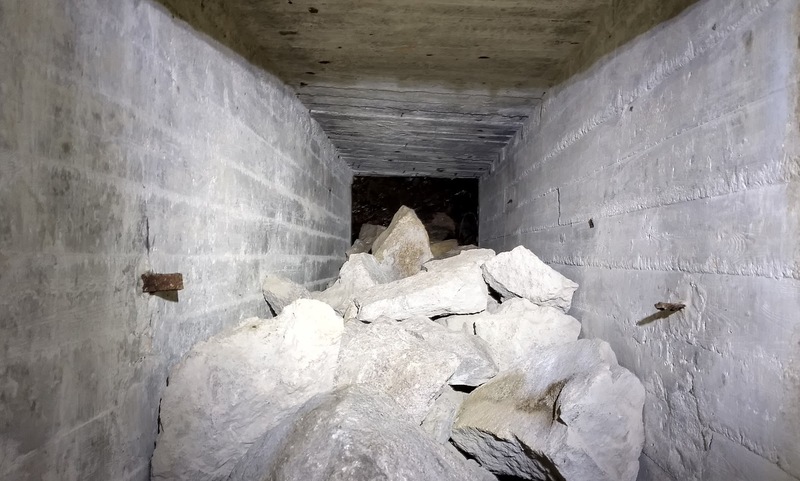 This bunker felt like visiting a previously unseen cave; the entrance was tight and messy enough that we're not sure other people have been here since 1956. There were no signs or garbage inside. The day's second bunker was in the Kalasberget hill nearby. 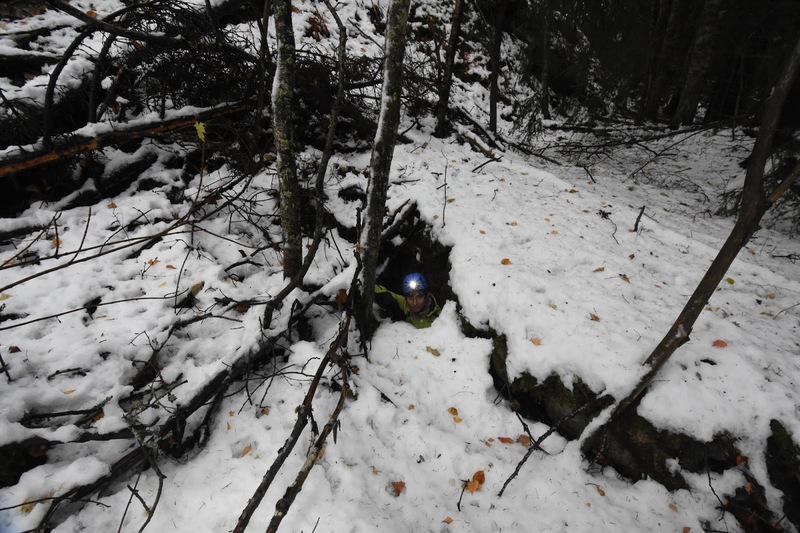 We crossed the field and found first pile of dirt, reportedly covering one bunker that is no longer accessible. 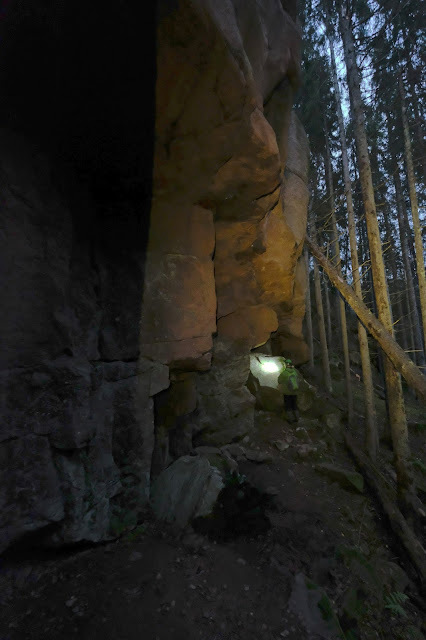 A bit further into the forest, just at the bottom of a cliff was a quite remarkable bunker. 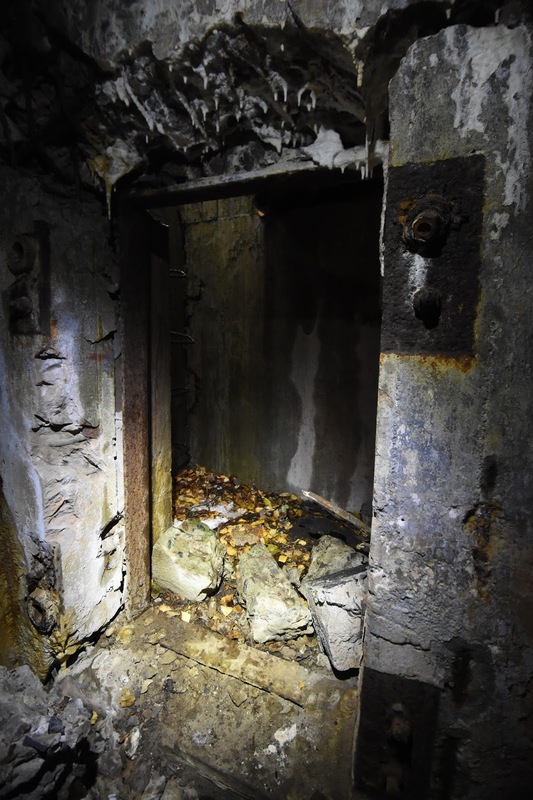 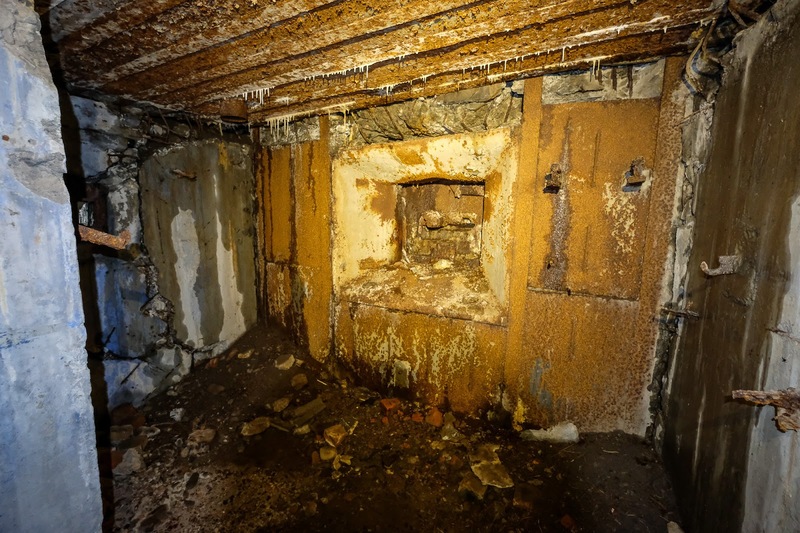 The gun and structures under it have been ripped out, but the round hole to the bunker underneath still remains, the straight down entrance hole with ladders remains, and the walk-in corridor entrance still remains (even if tight at the end). Interesting! 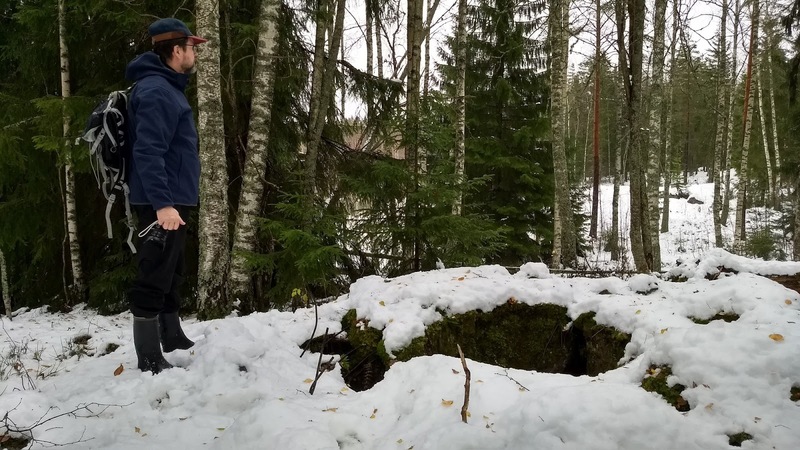 Based on Google Maps satellite pictures, we were hoping to find a third bunker nearby, as the pictures showed what looked like an open hole in the ground. Once we reached the place, however, we realised it was merely a tree that had fallen a long time ago, and left a hole in the ground. 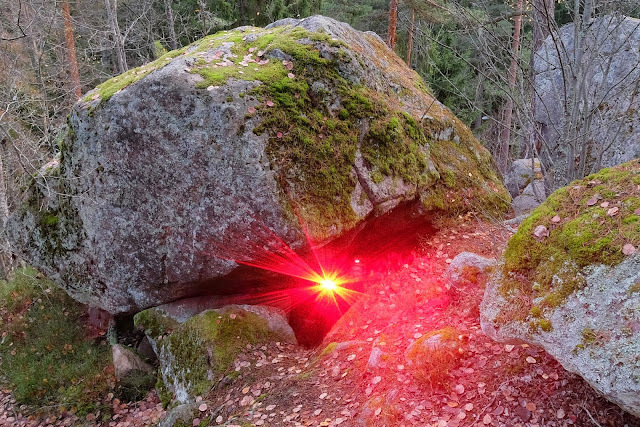 Oh well, it was a nice walk in the forest. 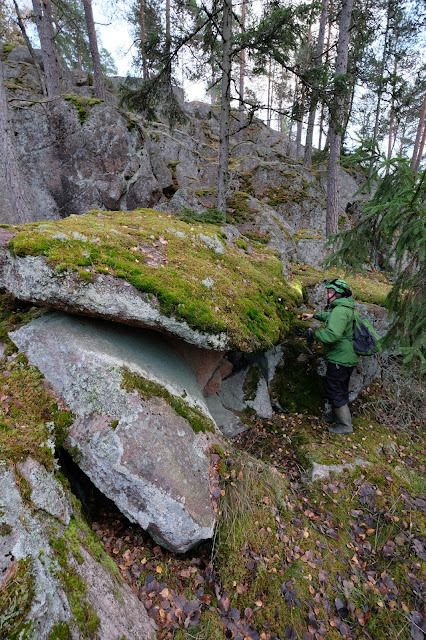 On the trip we also found a small roof cave next to the cliff at Kalasberget. 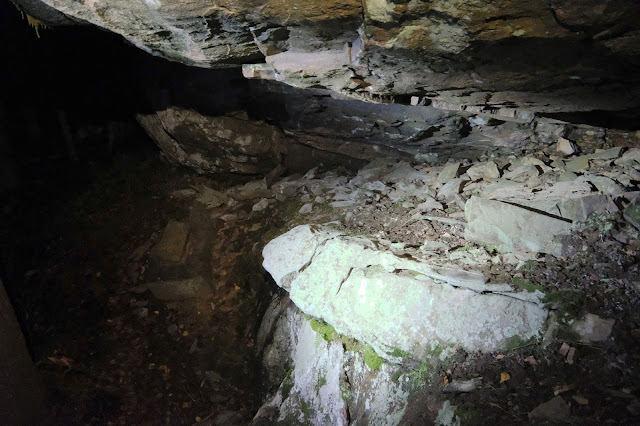 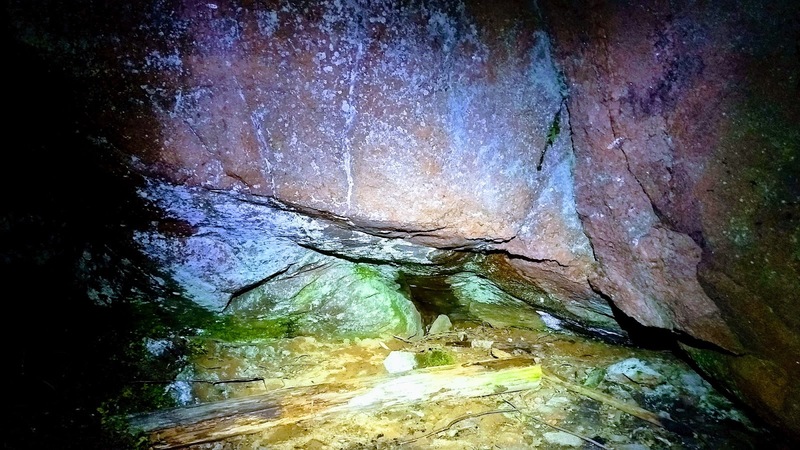 Probably too small to properly classify as a cave (5 meters long and barely enough of a roof to stay out of rain). 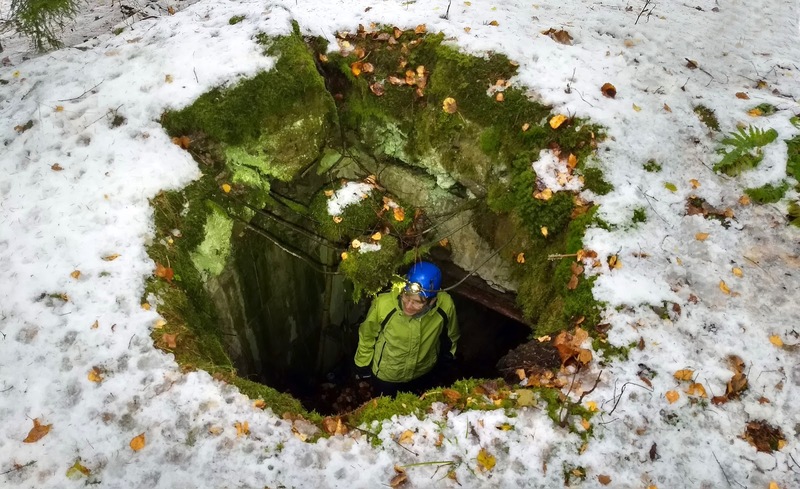 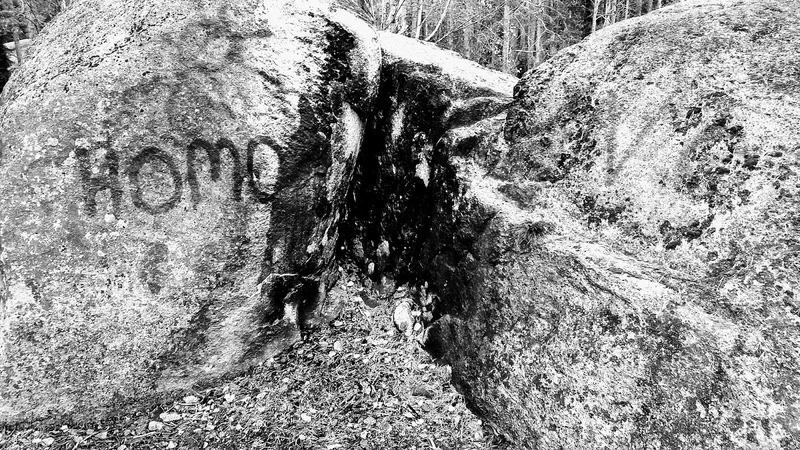 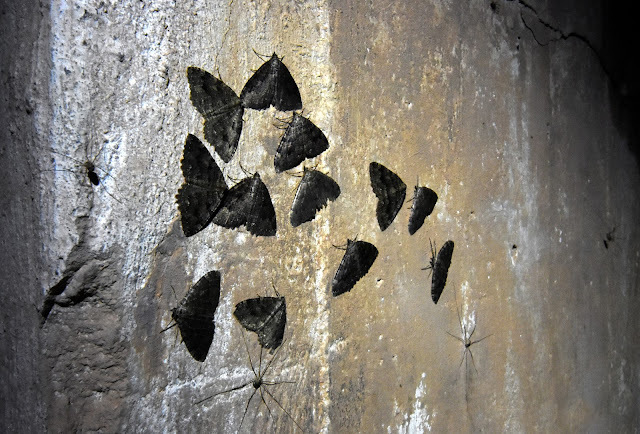 We also visited a bunker that Jarmo and I had been to before, but Velma hadn't. 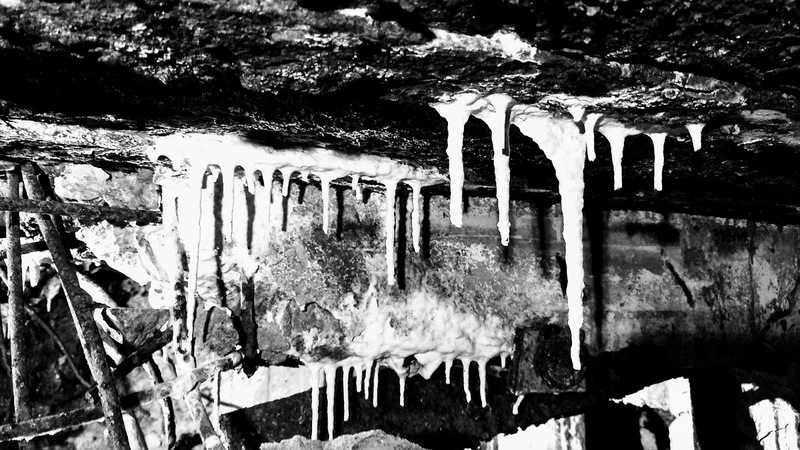 We confirmed the length of the long stalactite as being roughly 25 cm. 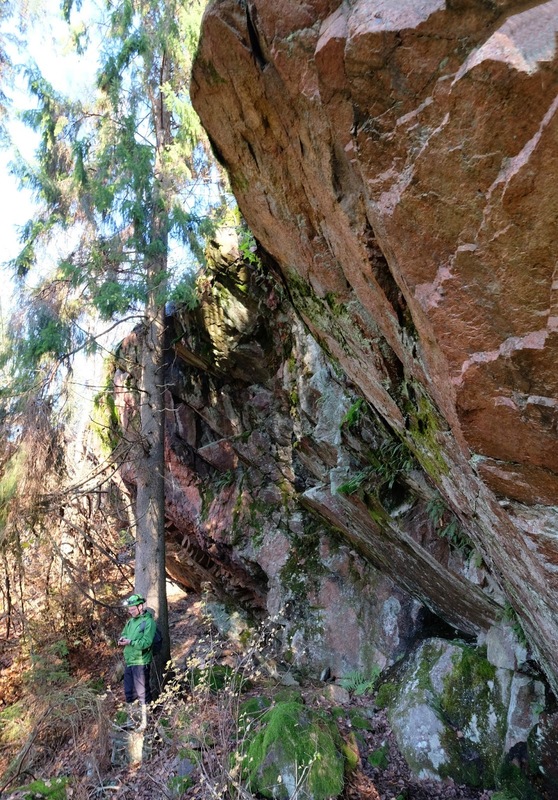 And Jarmo took some more of his great pictures. Coordinates for the Sonnimäki bunker are N 60.16220321° E 24.48039296°. 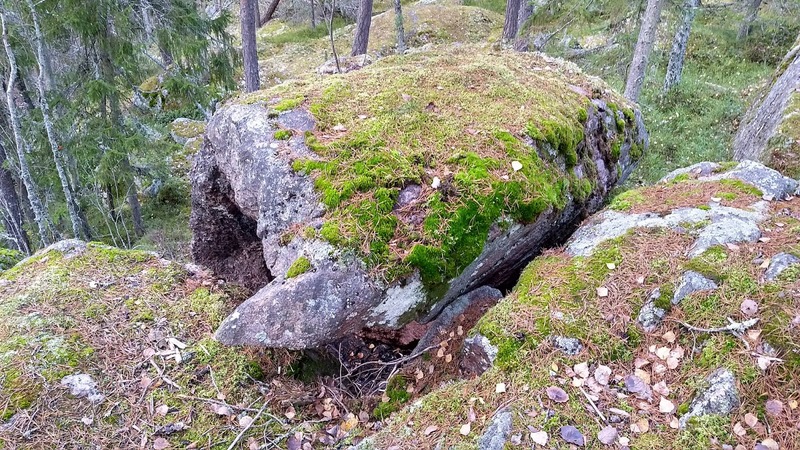 The Kalasberget bunker is at N 60.16033893° E 24.46882004°. 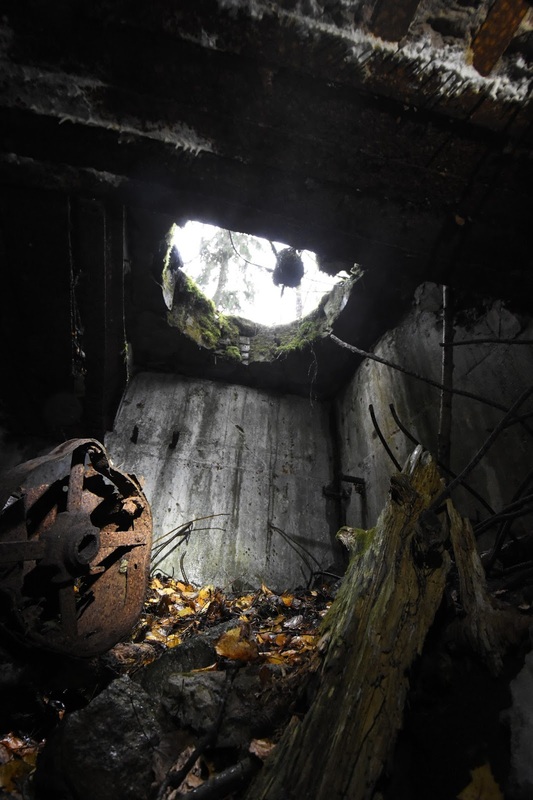 And the previously visited Sonnimäki bunker was at N 60.16092596° E 24.47613065°. 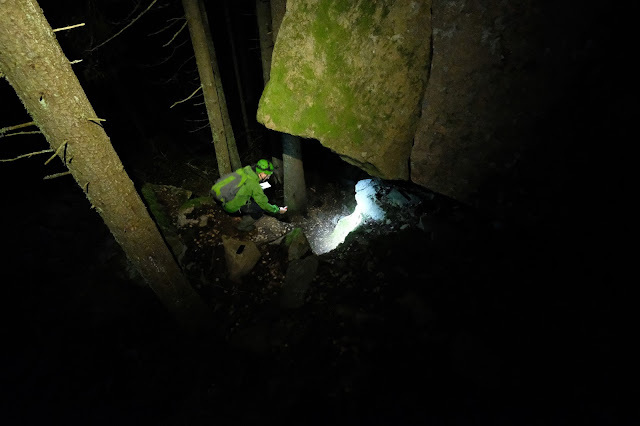 As usual, we're searching bunkers based on the Lynx map, augmented by the Google Maps pictures and other additional documents referred to above. 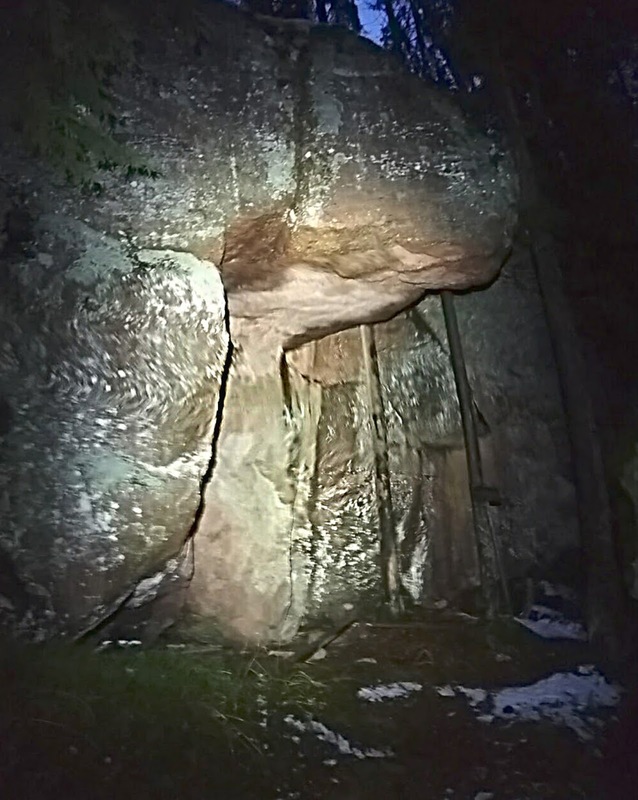 The cave is about 4.5 meters long, and just about wide enough for someone to lie down under the roof and be protected from rain. 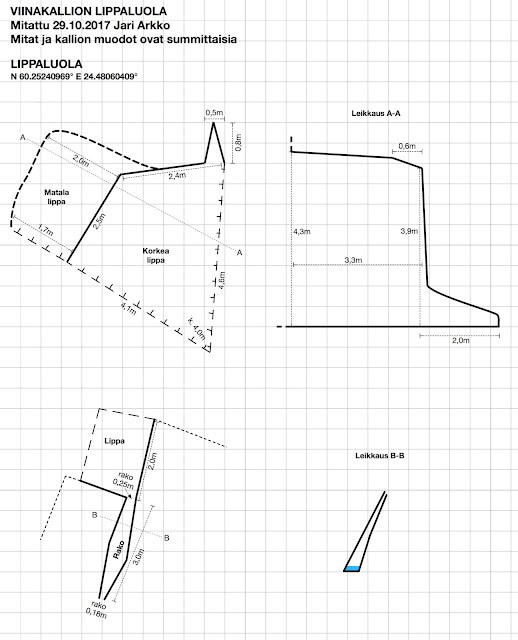 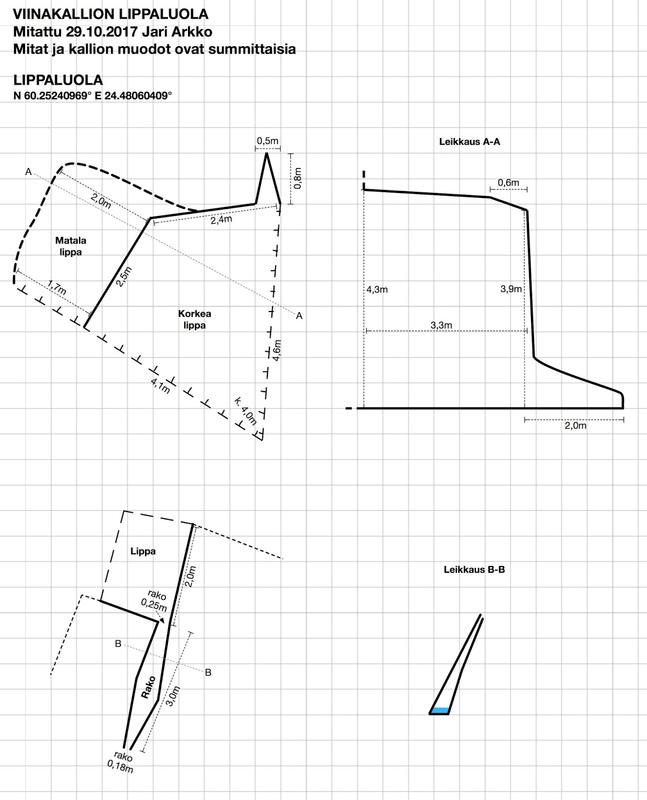 A higher resolution map can be found in PDF, JPG, and Apple Graphic formats. Coordinates: N 60.16030955° E 24.46814904°.